Contacts have become increasingly popular in the last several decades, going from a few limited prescriptions in hard ‘corneal lenses’ to the new versatile soft lenses that hit the market in the 1970s. Originally, only a small range of prescriptions and conditions could be corrected but as time passes, more and more people have the option of switching to contacts. You’ve probably seen the bevy of commercials and advertisements extolling the freedom-granting qualities of contacts but for some reason, a large percentage of the population who need visual correction choose to stick with eyeglasses. Why? There are at least a dozen reasons why someone won’t or even can’t wear modern contacts ranging from prohibitive medical conditions to valuing visual clarity. Of course, just because you don’t wear contacts doesn’t mean you actually want to be stuck behind thick, eye-hiding lenses. That’s why thousands of people, especially those with powerful prescriptions, are switching to glasses with high-index lenses. One of the leading populations of people who can’t wear contacts are limited by their work environment. Even if they might otherwise have eyes healthy and easy-to-correct enough that they could wear contacts, some activities and circumstances make contacts too uncomfortable and possibly even a safety hazard should they get dry or fall out. Many maintenance and manufacturing jobs, for instance, create a lot of heat, dryness, and put tiny irritating particles into the air. All of these factors will cause contacts to either dry out or catch a rough particle and create a potentially painful eye experience. While prescription safety glasses are usually the way to go for active welding and grinding, even working near these and similar activities or just in a dusty environment can keep you from comfortably wearing contacts and an eyeglasses solution is necessary. Of the many thousands of people who try contacts for vanity, convenience, or some combination of the two, a large percentage find that whether or not their workplace is contact friendly, the eyes themselves have some mitigating condition. Many people, for instance, suffer from dry eyes which is about as complex as it sounds. Especially if they didn’t know they had dry eyes before, it means their tear ducts create enough moisture to keep the eye itself healthily moist but do not create enough special liquid to also maintain a slowly drying contact set against the eyeball. Another common condition is called Blepharitis which is a big word for a fairly well-known problem. Blepharitis is an inflammation around the eyelid and often becomes detectable as either itchiness or extreme crusting during sleep. Sometimes the condition even results in scaly patches of the eyelid. As anyone who’s tried contacts can imagine, any inflammation or scaliness around your eyelid scrape the contacts and creates an impossibly uncomfortable situation. The final and perhaps most common medical reason that contacts are a living hell to deal with (at least during some seasons) is allergies. Ranging from mild stuffy nose to severe watery eyes, there’s nothing worse than putting in your contacts only to have to take them out an hour or two later due to itchiness, excessive tearing up, or the opposite drying effect. All of these very normal symptoms can turn someone with otherwise healthy eyes into a permanent glasses wearer, especially if you are allergic to something that blooms and grows year-round. Others find themselves switching between contacts and glasses based on the season, using glasses during allergy times and contacts during those few mostly allergy-free months. Contacts are tiny lenses that stick directly to your cornea. This sounds very handy and for many people it is, but they can only correct so much. Most of our lens technology has been focused on the eyeglasses which are capable of repairing a very wide selection of visual problems including astigmatisms. Recent developments in contacts often claim to be able to treat these specialty issues but in many cases, visual clarity is sacrificed for the convenience of frameless correction. Another major limitation is with people who have very strong prescriptions, both near and far sighted. In glasses, the corrective lenses are usually quite thick, but thicker contacts means a greater portion of the space between your cornea and eyelid is occupied, increasing the chances of strain and scraping. When one of the previous conditions or even something unlisted means contacts are simply out of the question either temporarily or permanently, it becomes necessary to fall back to glasses. However, for people who would rather be wearing contacts, this can be a serious let-down. Thick lenses hide your eyes from the world and often suffer from high Abbe and dispersion ratings. These cause reflections where there should be l ight pass-through and occasionally create distracting prisms in the lenses themselves rather than visual clarity. Fortunately, contacts aren’t the only technology that’s been developed in the last several decades. High-Index lenses are a modern marvel of lens crafting initially created when scientists were looking for a more shatter-proof glass alternative. 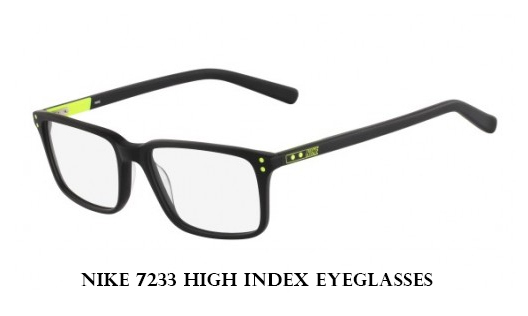 The index itself is one of refraction, referring to how efficiently they bend light to accommodate your prescription. 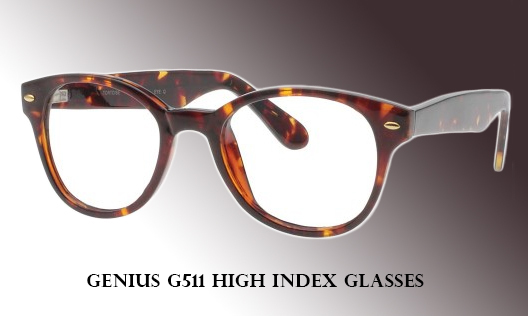 The higher the index, the denser the material, finally resulting in an attractively thinner lens. Where normal plastic or glass lenses are at an approximate index of 1.5, there are now incredibly thin high index lenses of 1.74 which bend light much more efficiently and therefore can be made into lenses a full 34% thinner. If you are one of the thousands of people who would rather be wearing contacts but for one reason or another cannot, glasses can be a huge hassle. However, with high index lenses you can get the least possible amount of glass or plastic between your eyes and the world. These thin lenses are renowned for being able to flaunt in slender wire frames, keep safely on-the-go, and even improve your social life. This is especially true for people with very high prescriptions who usually end up with very thick glasses. When the lenses are too thick, they begin to distort your face from the perspective of the people around you and light reflected off of them can prevent people from seeing your eyes at all. 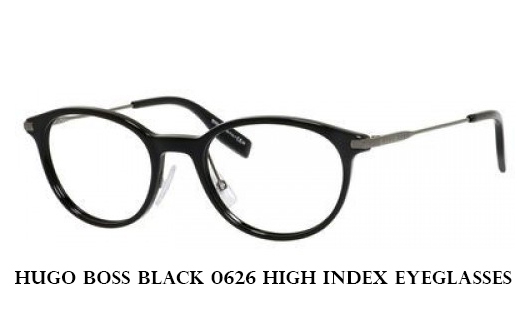 High index lenses remove these obstacles, reducing the amount of magnification or shrinking your eyes appear to suffer while wearing them because they are not thick enough to have the appearance-altering effects. Of course, due to their very nature, high index lenses tend to be more reflective than normal glasses but this issue can be quickly resolved simply by adding anti-reflective coating which any optician will be happy to help you order it with your new pair of glasses. If you absolutely must wear glasses but would rather no overt correction at all, high-index lenses are your ideal candidate. Light, clear, and so thin they’re barely there, these lenses are the closest thing most people get to glasses with a width of only a few layers of smoothly stacked plastic wrap and yet are sturdy enough to take with you and wear out on adventures. Whether you’re welding in the workshop or cheering your child on at soccer practice during the allergy season, high index lenses can bring you attractiveness and reliability in a way that contacts can’t.